I love this meal! 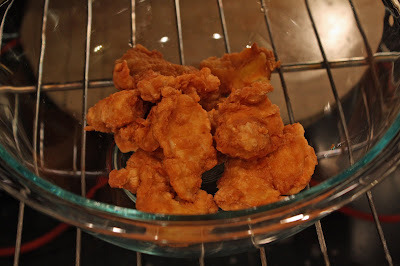 If you like S&S Chicken, you have to try this one! The S&S sauce from scratch couldn't be easier and all the yummy veggies are so delish! 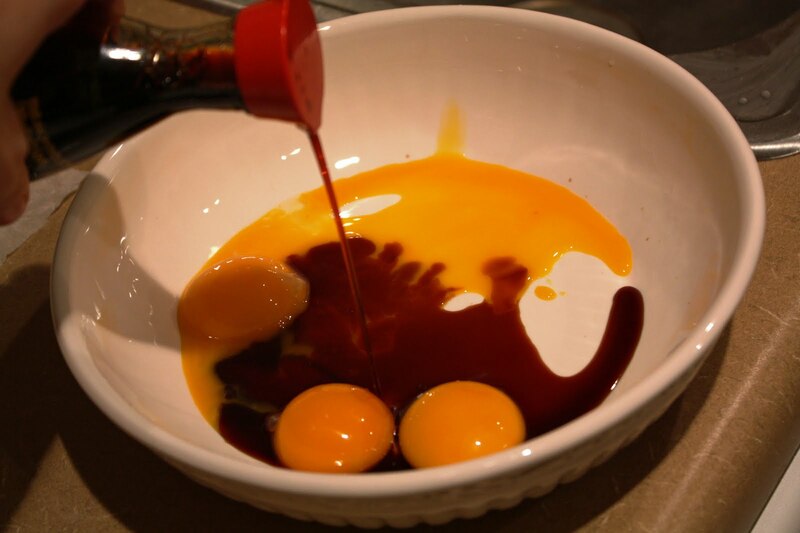 Step 1: Mix egg yolks and soy sauce with a bit of water. 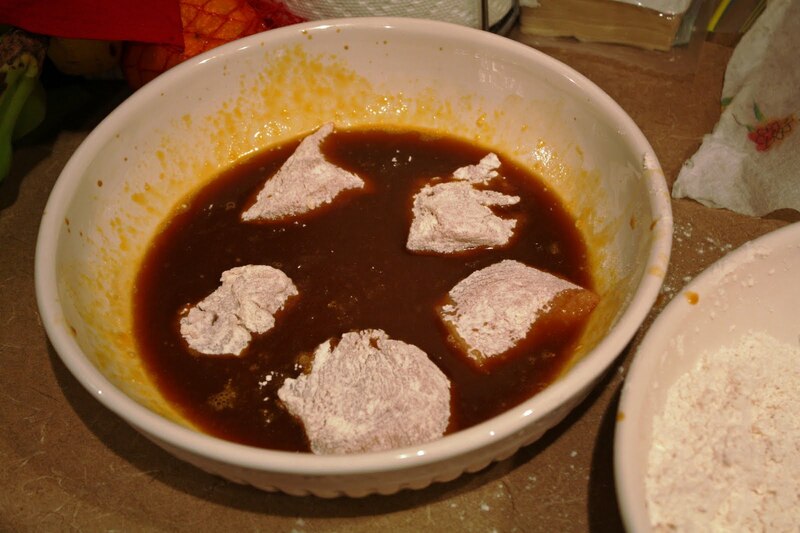 Roll the chicken in flour, egg, and then flour again. 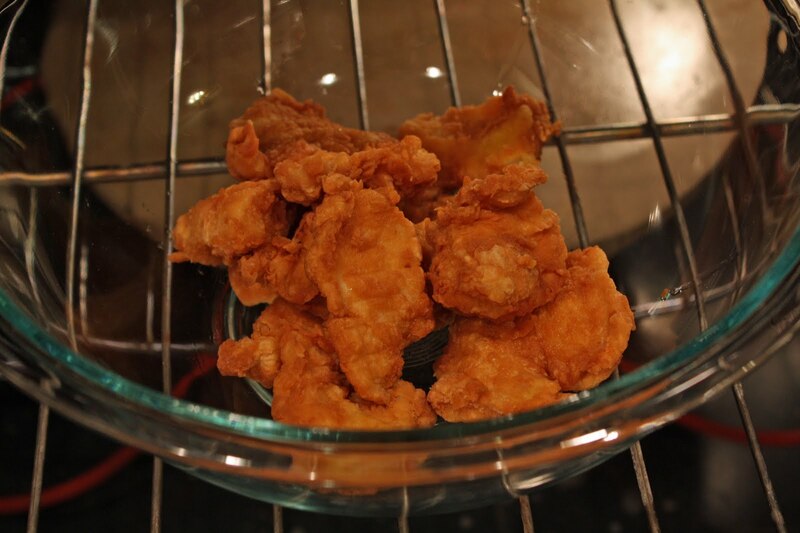 Deep fry the chicken in batches for 2-3 minutes, and drain on paper towels. Step 2: Stir fry pepper and onions in a wok or large skillet for about 2-3 minutes so they are still crisp and colored. Remove from pan and set aside. 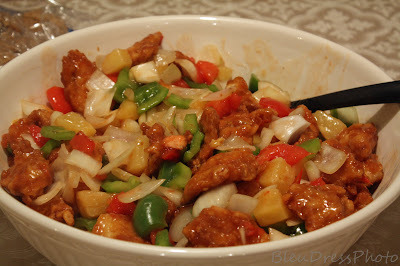 Step 4: Add tomato and pineapple chunks to the sauce and heat thoroughly. Pour mixture gently over chicken. Pour your peppers and onions on, mix and serve. Best served while chicken bits are crispy and vegetables are crunchy still and we like it over steamed white rice! Let me know how you like it!